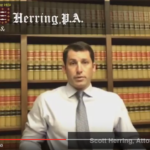 At Herring and Herring Law, we honor our Veterans, (current and past) by offering a Veterans discount for any legal services we specialize in. We feel it is important to honor these brave men and woman who have sacrificed so much for all us. Seminole County has a Veterans Court! Treatment not Incarceration, Veterans Treatment Courts are a way that men and women who served in the military can be offered treatment and rehabilitation as an alternative to jail time. Buffalo, New York, created the first one in 2008 and now there are more than 80 nationally and Seminole County has one of the first in Florida. The US Department of Veterans Affairs, one of the key partners working with the various Veterans Courts, has created the Veteran Justice Outreach Initiative to provide assistance to veterans that become involved with the criminal justice system. Signed into Law by Governor Scott in June 2012, The T Patt Maney Veterans Treatment Intervention Act, provides each County in Florida the ability to have its own Veterans Treatment Court. 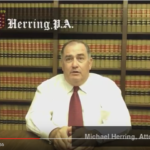 If you are a veteran who has been accused of a crime, you may qualify for veteran’s court. Contact our office today for a free consultation.